Modern independent gas supply installation – it’s a complete high-tech system providing the independent use of safe and affordable source of energy for heating, hot water supply and emergency power supply. It is a guarantee of the comfortable year-round living. Recent years have shown an unprecedented pace of construction of individual residential houses. And it is great, since only in his own house a person feels most comfortable. But the comfort implies heating. Where can we get it from? Undoubtedly, the best type of fuel to heat up your home is natural gas. But when the gas pipeline is miles away, consumption limits for the gas are not allocated, then the best alternative to natural gas is liquefied petrol gas (LPG). Tanks are intended for storage, regasification of LPG as per GOST (state standard) 20448-90 at wall temperature from minus 40˚C to plus 45˚C. They are used for the gasification of residential houses, amenities and agricultural facilities. It is possible to deliver tanks with different types of vaporizers. The tank is a vessel welded from the shells of two elliptic bottoms and a cap. To fix the tank to the foundation there are two supports welded to the shell. On the neck of the tank there is a lid with supply fittings and leak-control elements. Pressure-reducing gear is intended for the regasification and pressure reducing (or just the pressure-reduction: GR gear) of the vapor phase of LPG when the underground tanks with a capacity of 5, 8, 10 and 20 m3 are used for the gasification of residential houses, amenities and agricultural facilities in the seismic areas, mines, heaving and subsiding soils, as well as under conventional geological conditions. LPG is currently the most popular type of fuel (after natural gas), the price of a kilowatt-hour of thermal energy is always less than the cost of electricity and thermal energy generated from the combustion of diesel fuel. Thanks to this property, natural gas is one of the most popular in the world of energy. The system of the independent gas supply is in no way affected by the pressure drop in the pipe, in contrast to the systems of main gas supply. The system of independent gas supply is cost-effective. In comparison with diesel fuel, independent gas supply allows you to reduce operating costs almost by 40%, to say nothing of comparing it with the electrical heating systems. Besides, if you want to cut gas consumption then for this purpose the system of independent gas supply houses can be equipped with a timer for the boiler, which will allow to set the specific temperature any hour any day of the week. Gas heating is environmentally clean because contains no ash (that’s why there is no necessity to deal with it as in the case with coal), soot and no smell of sulphur oxides (as from diesel fuel). The system of the independent gas supply engineered in the right way is very reliable and has a service life of about 30 years. Her fire or explosion may occur only as a result of malevolent acts. The system of independent gas supply needs only the timely re-filling of the tank and routine check-up once in a quarter of a year, and also cleaning of the access roads for the LPG-carriers to deliver the fuel. 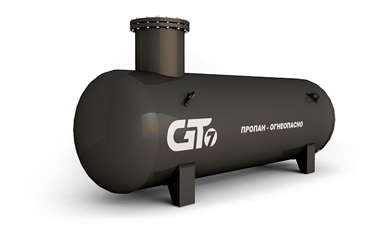 LPG supply system consists of the underground tank with a capacity of 2.5, 5, or 8 m3, pressure controls, valves and fittings, underground gas pipeline from the tank to the house, dual-circuit of the boiler for heating and hot water supply. Not far from your house the underground tank will be installed, where the liquefied gas will be stored. 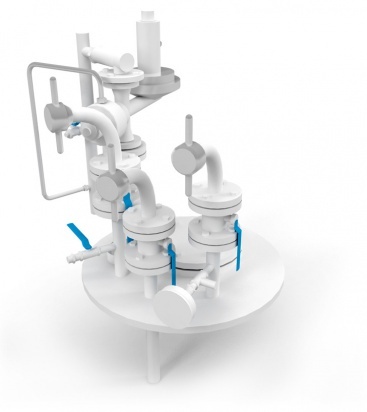 The evaporated gas through the pipe will be supplied to the heating and hot water supply boiler as well as gas-stove. The re-filling of the tank will be performed by a tanker truck 1-3 times a year depending on the capacity of the underground vessel and the intensity of gas spending. * thermal protection of buildings. According to the actual data of thousands of owners of independent systems of gas supply heating costs of the cottage with the floor-space of 150-250 sqm during the heating season is about 4,000-6,000 rubles a month, which is approximately 3 times less than the cost of the electricity and two times less than diesel fuel. For the implementation of the system of the independent gas supply an engineering project will be needed as well as selection of the proper equipment with further installation and start-up procedure. It is so easy to get not only a project when you deal with GT7. 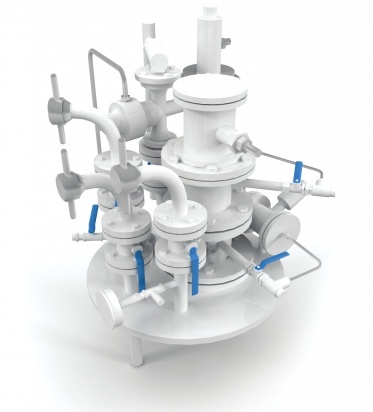 Our engineers will make all your wishes come true and you will get the complete gas facility. We differ from the other by our comprehensive approach: we carry out the project, taking into account your wishes and requirements of Construction Norms and Specifications (SNIP), select the complete equipment set, install it on site, fill in the LPG and then carry out a trial run. If necessary a project can be carried out for the gas supply of a group of houses, cottage settlement, industrial or agricultural enterprise.